G.T. is the authorized power train installer for Superformance. 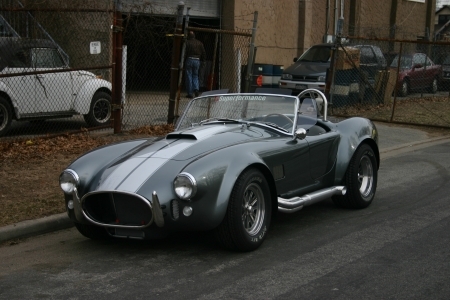 Superformance is a manufacturer of Shelby Cobra MK 111 and GT 40 replica vehicles. We install the complete drive trains which include Roush high performance racing and street engines, Tremec 5 and 6 speed and Z. F. transmissions. 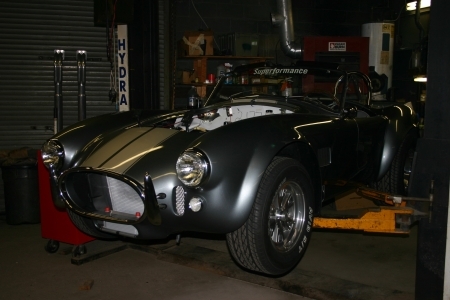 We perform all finishing work including installation of custom exhaust systems, electrical wiring, high performance ignition systems, stainless steel hoses and suspension adjustments. We install and run plumbing for auxiliary and remote oil filters and oil coolers including fabricating mounting brackets. 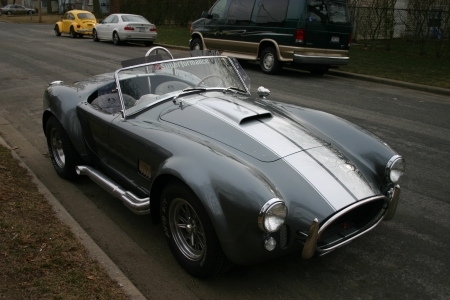 We also perform all subsequent service and repairs on Cobra replica cars and all custom performance vehicles built by us or not. G.T. 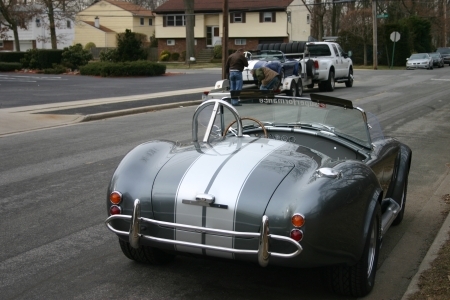 also builds and assembles Porsche 356, Speedster replicas and Dune Buggies. Including shortening and modifying chassis', building and installing high performance engines, modified transmissions, installing turbo chargers, dual carburetors, performance exhaust and suspension systems, and all electrical wiring and lighting. The following images are some of the replicas that G.T. has recently built.